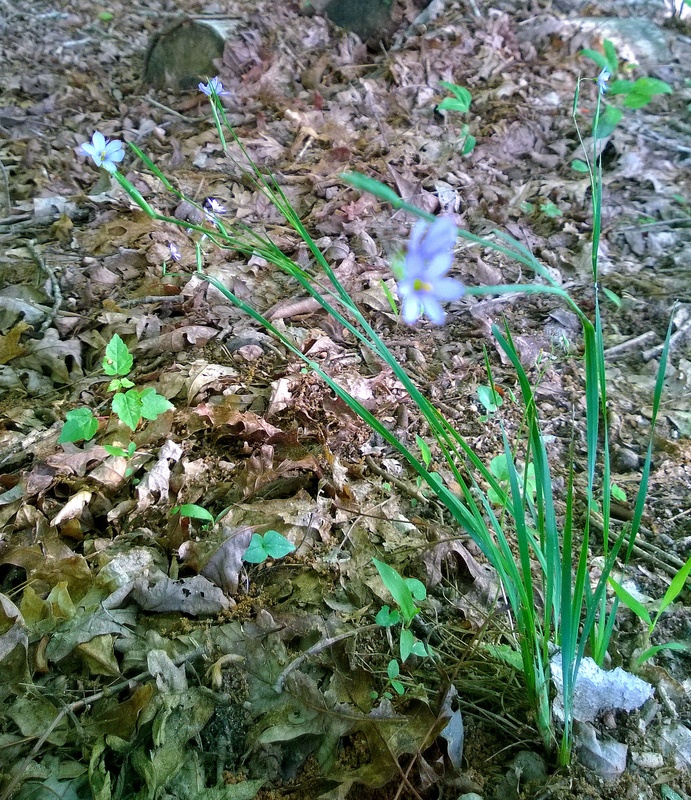 While not really a grass, Sisyrinchium is in the iris family, and is more closely related to Wood Flags or Wild Iris. Color-wise they can vary from white, to pale blue, to bluish purple to true blue…. depending on the variety. The Blue/Purple or Purple Montanum variety has a purple blemish on the stalks just below the bloom head, where the Eastern varieties are typically solid green. 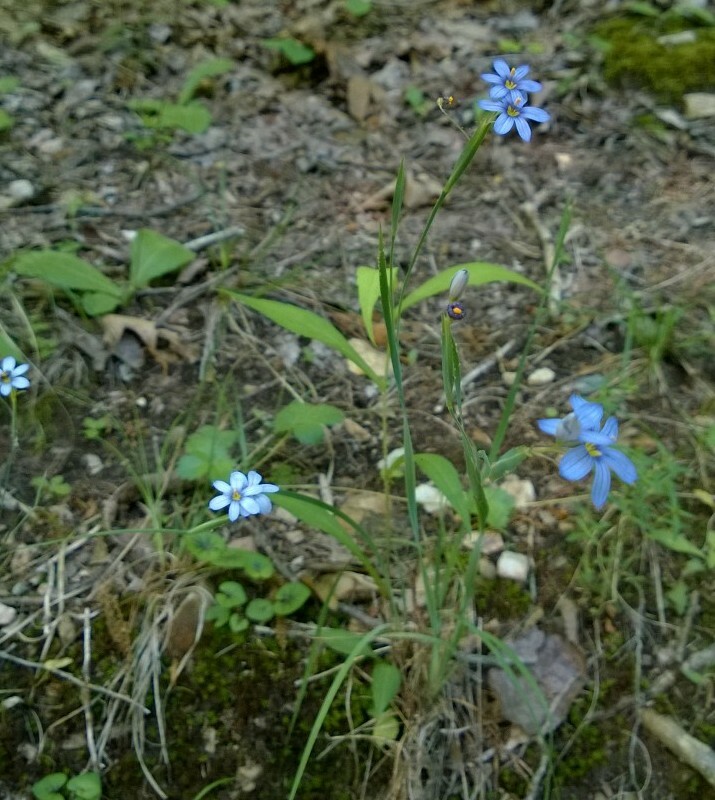 Blue-eyed grass gets it’s name from the slender grass-like leaves that clump out between rocks or on sunny hillsides. 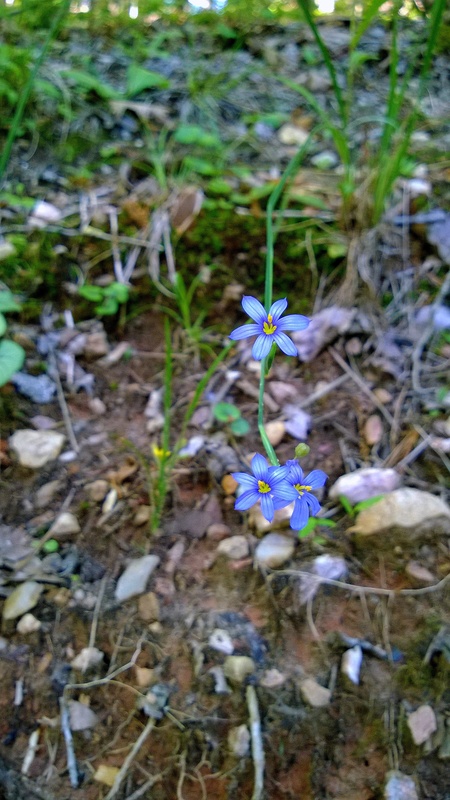 Easily transplanted, sisyrinchium can be found scattered across most of the Southeast where bird have deposited seeds in droppings. 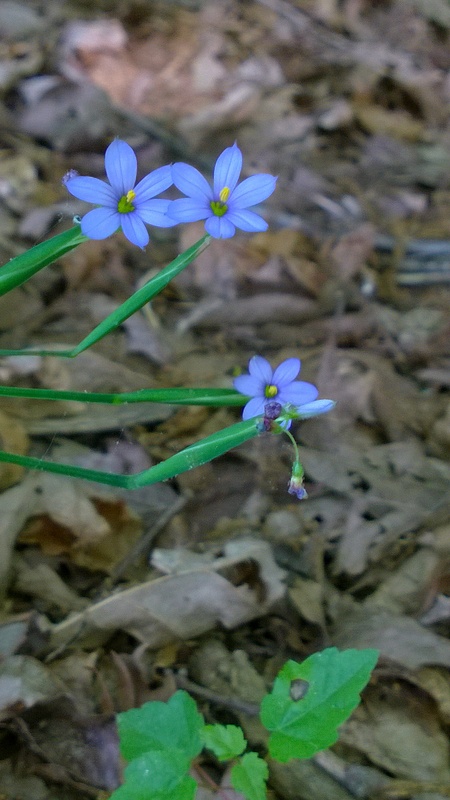 An excellent choice for rock gardens and sunny borders, Blue-eyed Grass reseeds easily, and spreads through seed distribution as well as rhizomes and tubers.